PlayerUnknown’s Battlegrounds has grown to become one of the biggest games on Steam, even going as far as to dethrone Dota 2. 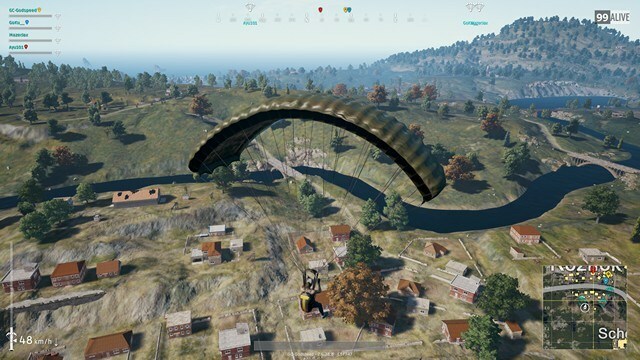 In fact, it even the broke the record with over 3 million concurrent players, which only goes to show how popular the battle royale style gameplay actually is. And this appears to have caught the attention of the gaming community for now, and a Battle Royale game mode has already come to CS: GO. The mod features a map that is more than four times the size of Overpass. In fact, it is fours times larger than a map that’s typically allowed by the source engine. Other notable changes include alterations to bullet travel time and drop rate, which may require heavy adjustment from veteran CS: GO players. In addition to all that, the mod allows only upto 20 players to fight for the chicken dinner, not 100. This tells us that it is still not on the same scale as PUBG or others in the genre like Fortnite and H1Z1: King of the Kill. Now that you have an idea about the mod, you can quickly hop on the community server by signing in with your Steam Profile on the mod’s site. In fact, CS: GO is currently on sale as well, making it the perfect time to grab a copy and give it a shot. That being said, this mod appears to be a perfect alternative until GO gets an official battle royale mode.